RED DEER, Alta. 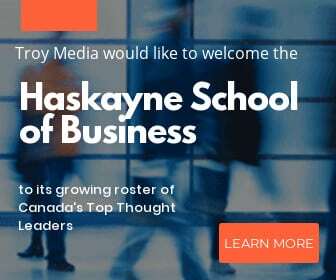 Nov. 20, 2016/Troy Media/ – Does Donald Trump represent Alberta’s best chance for economic resurrection? Don’t hold your breath. One in 10 willing Albertans is jobless. And a sense of dread permeates the province as the oil industry limps toward a third miserable year. It’s hard to even credit the predictions of a slight uptick in economic activity next year, in the face of the misery all around us. The provincial government is casting about for a solution that doesn’t run counter to its ideological perspective and doesn’t condemn its leftist soul to the hell of pragmatism. The new, surprisingly generous royalty regime is a good place to start. But we need assured markets for our oil and we need better prices, while we balance our obligation to curtail carbon emissions with our imperative to keep unearthing hydrocarbons. Otherwise, the multibillion-dollar industry infrastructure we have built will begin to crumble and the foundation of our stagnant economy will ultimately disappear. No Alberta political party has the tools or the leverage to fix that without outside help. The Progressive Conservatives couldn’t do it when they enjoyed power; the New Democrats aren’t getting it done. And don’t count on the far right coalition-in-waiting of Jason Kenney and Brian Jean to get it done if they ever get elected. This is not an internal issue. As much as our lax environmental record may be an international flashpoint, our oil industry has not dried up because of massive oil tailings ponds and carbon dioxide emissions. It’s dried up because the Organization of Petroleum Exporting Countries and their cronies decided to manhandle the market. And they have deep pockets and patience (Saudi Arabia expects to run a national deficit of around $100 billion this year). 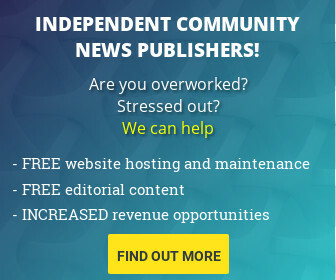 We need outside help: assured foreign markets, the means to reach those markets, and a world pricing structure that is both more generous and more stable. Enter U.S. president-elect Trump, a man of many promises and perilous little track record of making good on those promises. Trump, among many pronouncements, has said he will ensure the stalled Keystone XL pipeline project to Texas gets completed. That, presumably, means Alberta oil will have an assured market to the south. But it has always been a market with conditions, including a benchmark below the world market for oil because of the heaviness of our product. Obviously, not all of this is possible, at least in the short term. OPEC delivers about 31 per cent of the U.S. oil imports. Canada contributes about 41 per cent of imports. Those are big chunks. But the U.S.’s reliance on outside supplies is diminishing. Its aggressive shale oil exploration program now makes it the world’s third largest crude oil supplier. And now comes news of another huge shale oil find in west Texas. Geological estimates put the field at three times as large as the massive Dakotas-Montana fields. So let’s not assume Winston Churchill was always right: In this instance, the Americans just might not get around to doing the right thing – at least from Alberta’s perspective. Our future, more reasonably, relies in the long term on building pipelines west – to access the huge Asian market, and east – to serve the rest of the nation and to reach the stable markets of western Europe. Either path – and building both would be the ultimate solution – require more outside help. No pipelines will be built without Ottawa’s approval and immense co-operation by the other provinces and various stakeholders along the routes. The federal government will decide by Dec. 19 whether the Trans-Mountain westbound pipeline can be doubled. The Liberals have already started to talk about how to add muscle to the federal government’s ability to respond to oil spills – one of the B.C. government’s conditions for pipeline approval. The road east, then, seems a great deal longer, but it is no less important. The more varied our markets, the more stable our industry and our future. Alberta’s oil industry leaders have started to signal that they are ready to modestly increase development spending next year. That’s certainly not based on improved prices for oil – yet. But it’s an indication there may still be a viable future for the industry. Just don’t count on Donald Trump to provide it. 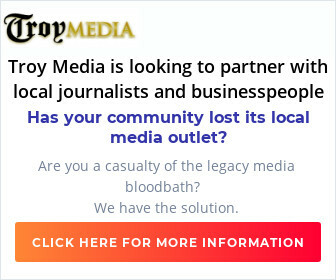 John Stewart is Editorial Vice President with Troy Media Digital Solutions Ltd. and Editor-in-Chief of Troy Media. 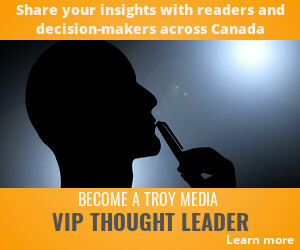 John is included in Troy Media’s Unlimited Access subscription plan.